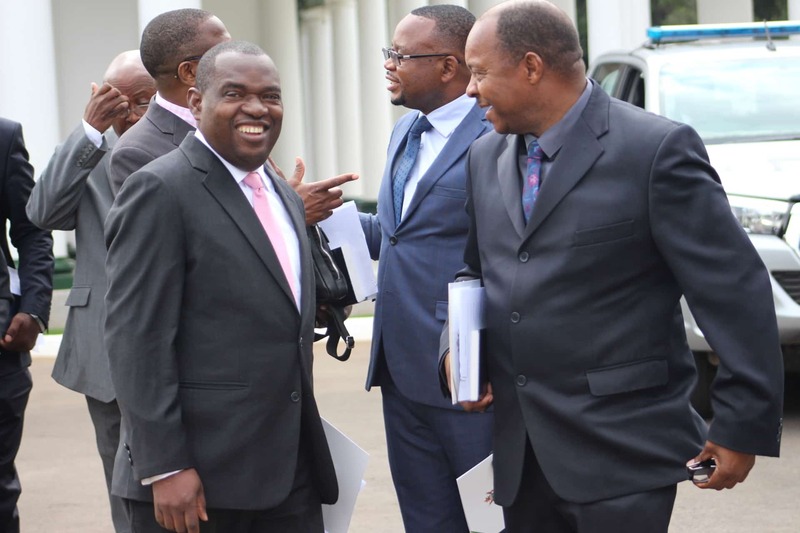 Foreign Affairs and International Trade Minister, Sibusiso Moyo says the newly sworn cabinet has brought confidence to all Zimbabweans as well as the international community and should be able to boost economic revival. The cabinet has been branded President Emmerson Mnangagwa’s ‘Dream Team’ by various sectors of the media with new faces in Kirsty Coventry, Professor Mthuli Ncube, Sekesai Nzenza, Mangaliso Ndlovu and Joel Biggie Matiza. “This cabinet is good because I think it creates confidence in all Zimbabweans at large. A team which is united can be able to work well and accomplish the duty of the government which includes stabilizing the economy of course. “And I also think with this cabinet, my work will be a lot easier as the minister of foreign affairs such that even when we are going abroad to represent the country we will show the world the unity we have as a rainbow nation and basically that’s what is important,” said Moyo. He added that the re-engagement agenda has been successful as a number of countries are warming up to Zimbabwe. “In terms of participation in the international order, western nations were the first to warm up to Zimbabwe with countries such as Germany, France and the UK sending their representatives to Zimbabwe for further engagements.